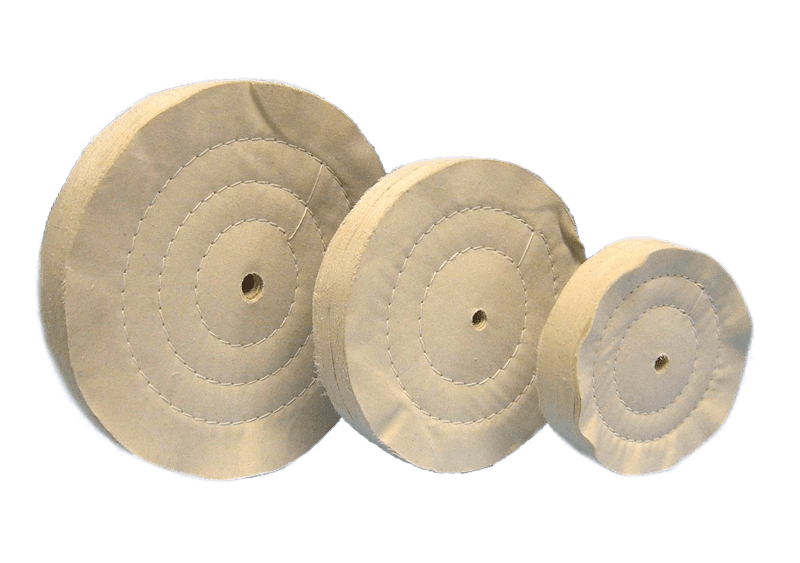 The flap polishing wheels FAPI-WOBBLE are made from tailored, star shaped wedges, strips or larger pieces which must reach to the wheel’s centre point. The flap wheel‘s top and intermediate layers are made from full disc material. The specific lay is held together by stitching which can be varied as desired. Standard models come with three stitch rings. Flap polishing wheels FAPI-WOBBLE are used for polishing on automated polishing machines and manually on a polishing stand. When polishing, these wheels are more aggressive than buffing wheels, i.e. they work on the workpiece surface more intensely. They are ideal especially for pre-polishing, polishing and finishing of flat and lightly deformed workpieces. The danger with flap polishing wheels is, that above all, when working on smaller workpieces, the cloth pieces knock against the operator’s hand. If polishing is thus not possible, a buffing wheel should be used instead. 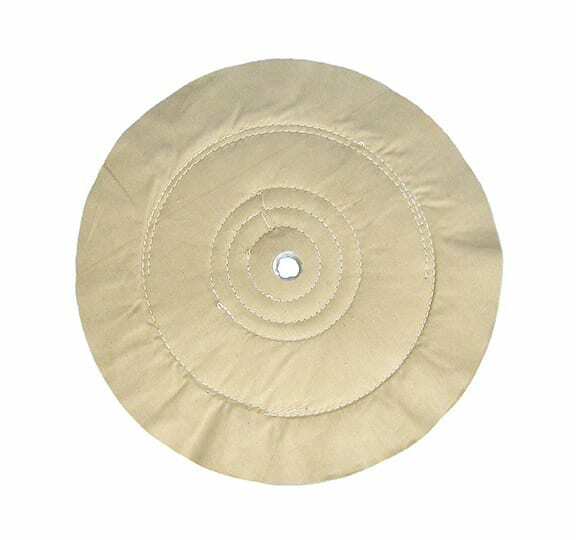 As with all cloth polishing wheels FAPI-WOBBLE, the work is done by the roughened threads on the disc’s perimeter. In addition, the corners and edges of the individual pieces make themselves noticeable during polishing, i.e. because the cloth corners and edges are not roughened, they work harder. This makes flap polishing wheels more aggressive than buffing wheels when polishing.